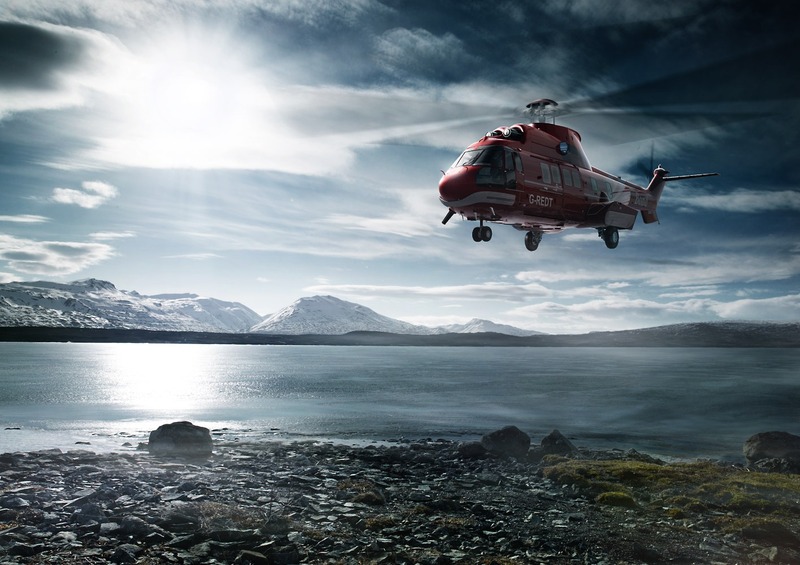 a eurocopter superpuma seems to land somewhere on lake in iceland. but it isn't, because it is not real. the cgi work was done by px2 in hamburg.